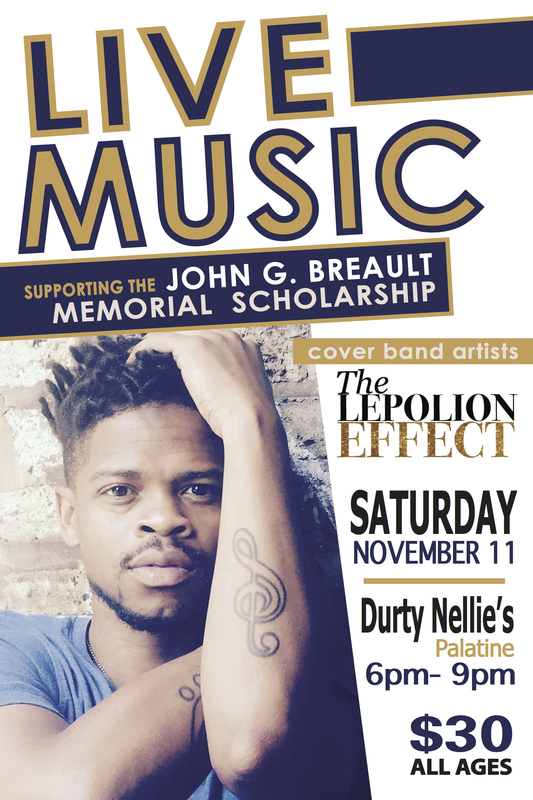 a Live Music Charity Event for The John G Breault Memorial Scholarship at Durty Nellie’s in Palatine IL. We put together this show every other year. This will be our third event. Music by the brilliant cover band Lepolion Effect. Help us celebrate our Dad’s life. Let’s get together for a night of friendship, remembrance, looking forward, and dancing. Great music for a great cause. 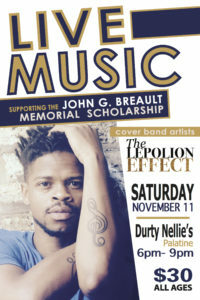 See you Saturday Nov 11 at Durty Nellie’s in Palatine IL. Bring friends. Please pass on the EVENT Page on Facebook. RnB/Pop coverband fronted by Lepolion Henderson. High energy band playing hits from the 80’s to current. Artists include Michael Jackson, Prince, Justin Timberlake, and many more.